I think if a story has a message it should be incidental and accidental, otherwise it leans too close to indoctrination. Remember your ancestors, dream of your descendants and work hard while you’re living. This is my universe, my time, my world. There is no going back to what was. There is only the future. Let me tell you, there’s no long-distance relationship like an interstellar one. 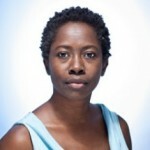 Karen Lord is a Barbadian writer of speculative fiction. Her first novel, Redemption in Indigo, retells the story "Ansige Karamba the Glutton" from Senegalese folklore and her second novel, The Best of All Possible Worlds, is an example of social science fiction. Lord also writes in the sociology of religion.